This year, a Mullein (Verbascum thapsus) family came to live with us - a medicine blessing. They live on a knoll just beyond the house, and are happily thriving. Each Mullein plant grows for two years; the first year leaves will go into teas and tinctures. 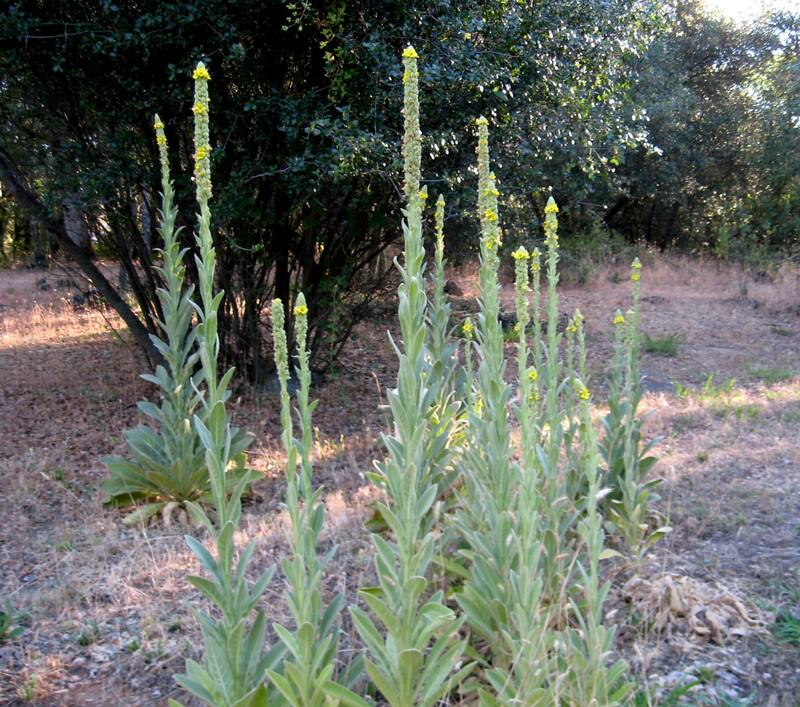 Mullein is an A-1 remedy for seasonal allergies and flu/colds. The second-year flowers go into an organic oil, and may be used as drops for earache, or rubbed into skin to relieve arthritic pain. I use Organic Olive Oil. This abundant nourishment has simply gifted itself to us...offering fore-knowledge of the coming cold/flu season. Thank you, Sweet Mullien...!